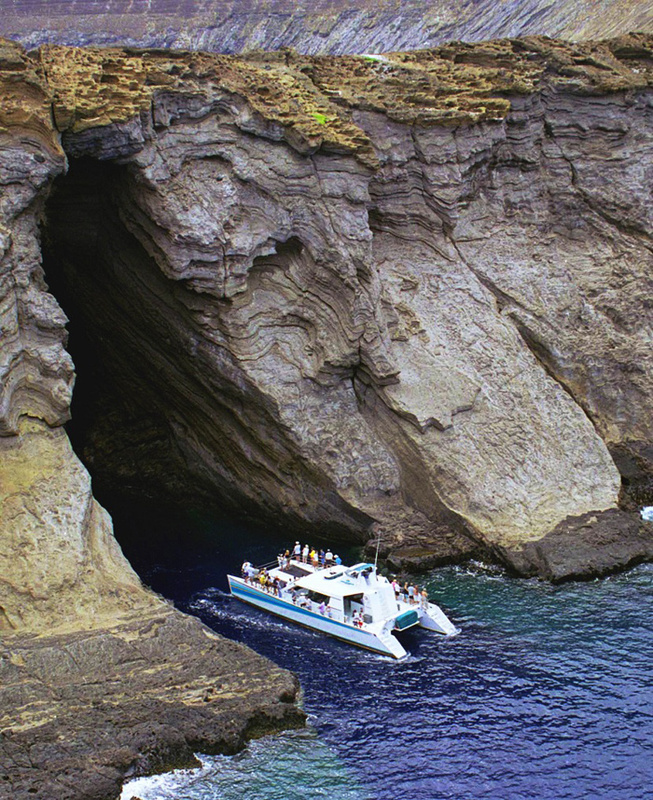 Experience spectacular views of dramatic sea cliffs, lush green valleys, and mysterious caves sailing along the Kauai coast with Holoholo Charters snorkeling in Kauai. 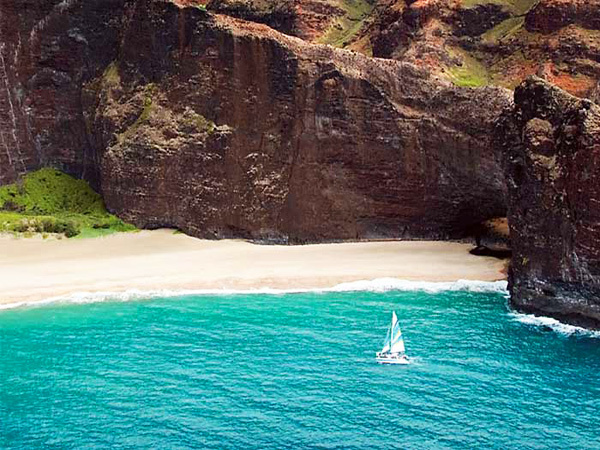 Enjoy stories of old Hawaii as you sail to a remote Kauai snorkeling spot. 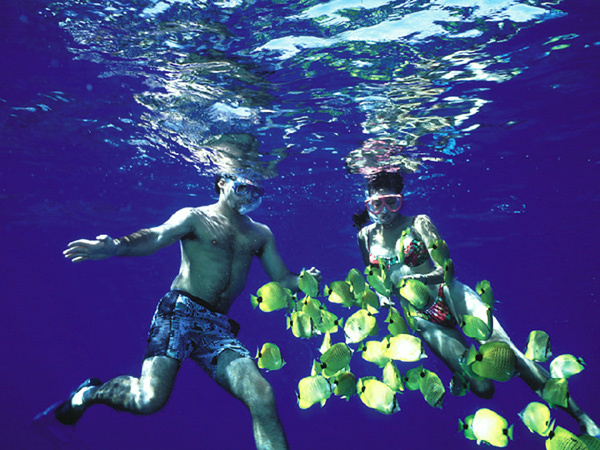 Enter the pristine waters for snorkeling in Kauai with Holoholo Charters! Hawaii snorkeling is a spectacular experience. Kauai snorkeling is a Na Pali coast adventure not to be missed! Reserve Kauai snorkeling with Holoholo Charters. 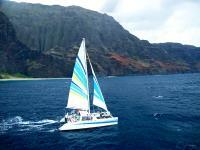 The Kauai trade wind is fast in the afternoon offering the best sailing condition. 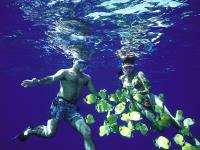 After Hawaii snorkeling, relax and enjoy a delicious dinner and complimentary wine, beer and champagne. Enjoy the dramatic sunset and scenery of the Na Pali coast as you reflect on your day sailing and snorkeling in Kauai. Pregnant women are not permitted to participate in this activity. Not recommended for persons with heart, neck, back or joint problems. The tour/activity is subject to cancellation due to weather. The menu is subject to change. Please call the activity provider the day before to reconfirm your reservation. A valid government issued photo I.D. is required to consume any alcoholic beverages. All participants who go in the water must wear a floatation device. Participants are required to sign a liability waiver. Individuals prone to sea sickness or motion sickness should take preventatives the night before and the morning of the tour. No refunds can be granted for seasickness. Must give 24 hour notice of cancellation. Please wear your swimsuit to the activity. Please bring along all personal items including towels, swimwear, sunglasses, sunscreen, a light jacket, and a camera.